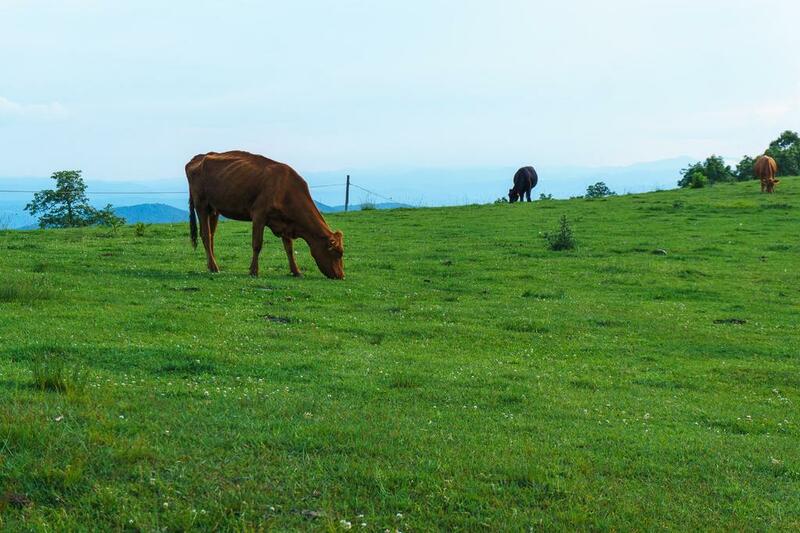 Cattle graze peacefully on the summit ridge of Bearwallow Mountain. They're pretty non-threatening to hikers, but they're big. Keep your distance.